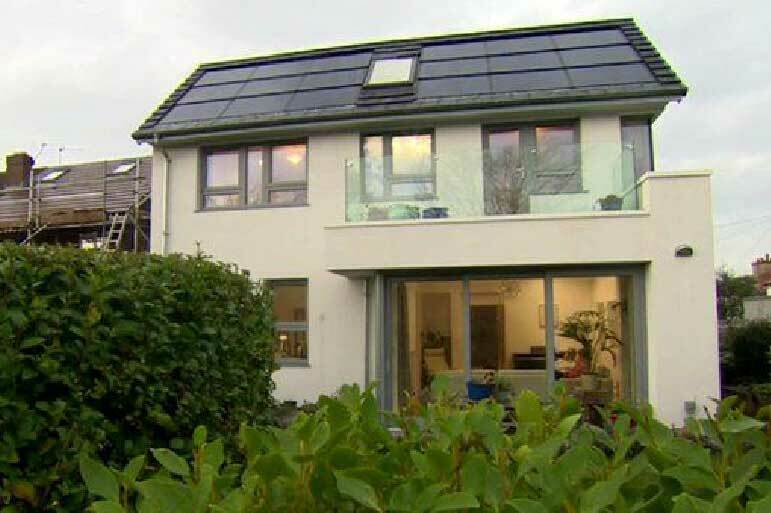 A “simple” house which runs on the equivalent of a 40W light bulb at a cost of £15 a year has won a national energy award. The £240,000 four-bedroom Passivhaus in West Kirby, Wirral, was built of insulated masonry and concrete. It features triple-glazing, LED lighting and an air-source heat pump. Owner Colin Usher said being honoured by the Buildings and Energy Efficiency Awards “dispels the myth” eco homes are “expensive and radically different”. Passivhaus, which mean passive house, is an ultra-low energy design standard for homes developed in Germany in the 1980s and 90s. About 37,000 homes have been built to the standard across the world according to the Passivhaus Trust, an organisation for the movement in the UK. Mr Usher, who is a director at Liverpool’s John McCall Architects, designed the house for himself and his wife. He said it was “very comfortable to live in and its appearance is not incongruous with surrounding houses”. It has been orientated so the windows and solar panels on the roof receive the optimum amount of sunlight and features high ceilings, carefully positioned glass and large spaces to let the most natural light and heat in. Passivhaus buildings “provide a high level of occupant comfort while using very little energy for heating and cooling”, according to the Passivhaus Trust. The properties feature “rigorous design and construction according to principles developed by the Passivhaus Institute in Germany”. Mr Usher and his wife have lived in the property for two years and the cost for heating, lighting, hot water and cooking was “just £15 per annum”, he said. An equivalent property his firm recently designed to meet normal building regulations cost about £1,800 a year to heat, he said, adding that data showed his home was performing “almost four times better than the Passivhaus standard it was targeting”.